ERROR! ERROR! Auto Fire Engaged! Well this day couldn’t get any worse. First you missed your bus and now you’re stuck in a malfunctioning mech suit. The auto fire mechanism is jammed and you can’t switch the damn thing off. 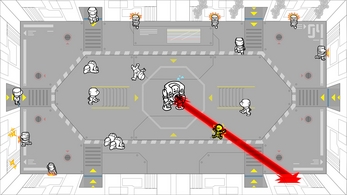 Thankfully the X-14 Tactical Pacifism Suit only fires non-lethal ion pulses. But give that thing enough time and it’ll bring the whole building down. As you helplessly blast everything around you, the engineering team pours into the room. “Don’t shoot the equipment,” they yell, “It’s very expensive!” Despite their lack of concern for your safety, they’re the only ones who can repair your suit and get you out of this mess. 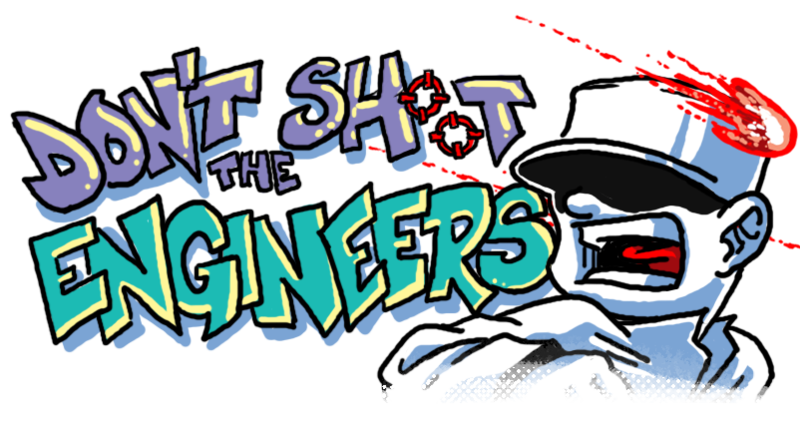 So whatever you do, don’t shoot the engineers. 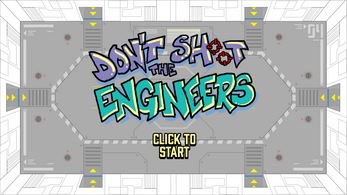 Don't Shoot the Engineers! 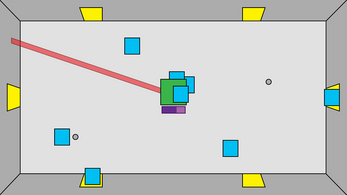 is a top-down shooter where you can't stop shooting. Your Tactical Pacifism Suit is also immobile, so you're going to have to find a way to not trash the lab and stall long enough for some engineers to hop on your suit and disable it. Engineers will enter the lab and focus on disabling your suit or fixing the lab. Only 3 engineers can work on your suit at a time, and too much movement can send them falling off. They're only human. Too much damage to the walls will destroy the lab doors and prevent new engineers from entering. 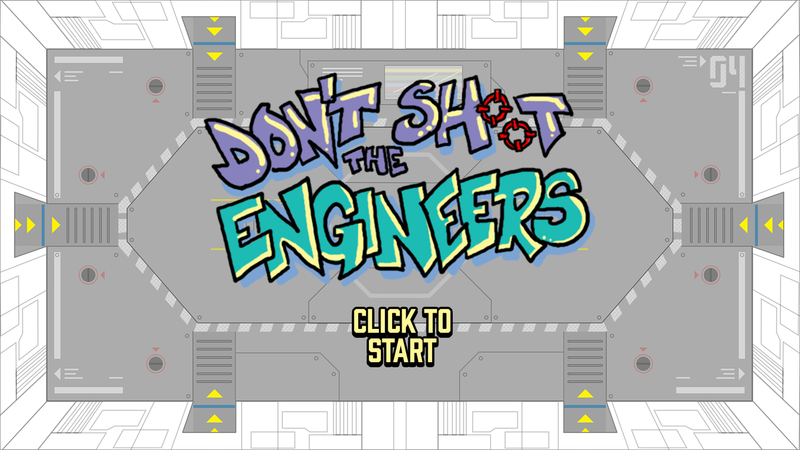 Don't Shoot the Engineers! is a submission for Game Maker's Tool Kit Game Jam 2018. It was conceived by a group of friends and collaborators collectively known as OptionSelect. Dedicated to our buddy Sikander Zaheer! Happy birthday dude! Comments and Feedback are always welcome and appreciated. 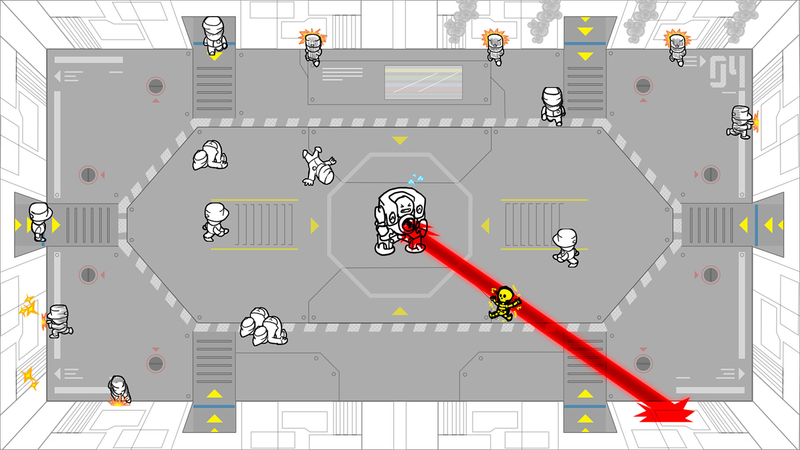 We've tried our hand a few game jams and were really excited for this jam. Unfortunately a lot of our game play elements couldn't make the current build in time, but we hope everyone can find a small bit of fun in it! Interesting game but little boring. Art style is cool.